There are lots of different types of casino games that players choose to enjoy for different reasons. No matter what kinds of action you like, there is something that will appeal to you in the large range of titles that are available online. Many different players from all over the world with vastly different backgrounds and temperaments play casino games. As a result, several different types of games have developed over time with various types of gameplay, varying degrees of strategy and so on. One of the best things about playing these titles is that there’s something for everyone, and if you don’t like one type of game, then there are a ton more just waiting for you to take a look. In what follows, we’re going to take a brief look at the main types of casino games online. These are your key options, so we’re going to break down what it is that you need to look for to make sure that you’re picking out the titles that will work the best for you, and then we’ll give you resources to show you the best places to play those titles and the strategies and concepts you’ll want to maximize your chances of winning. In short, we want to set you up to have the best experience that you can have. They’re very flexible in terms of finding the variance and themes you’ll enjoy. 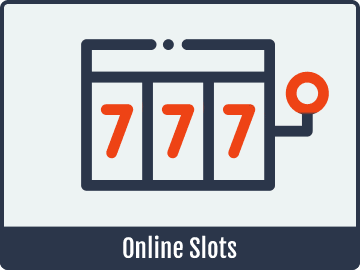 Slots are super easy to learn to play, and anyone can learn to play them in just a few moments. It’s easy to play sessions that are of any length that you desire. There’s very little, if any, strategy used in the vast majority of slot games. Some players find the gameplay to be extremely repetitive. It’s easy to make a lot more bets in a shorter amount of time than you meant to because of the super-fast gameplay. Because so many different games are available in this genre, they’re able to appeal to a huge number of people. However, they aren’t right for everyone, especially if you prefer putting a lot of thinking and strategy into your play and if you don’t like games that move particularly quickly. 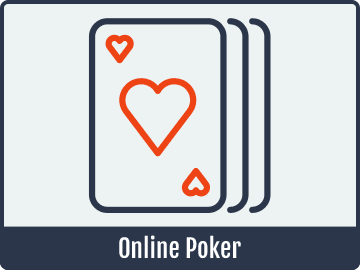 On the opposite end of the spectrum, we have online poker. 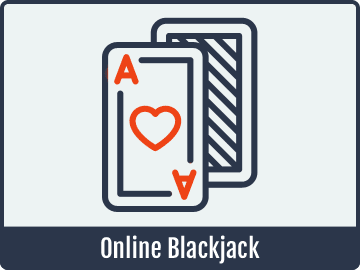 Some people don’t necessarily consider this a casino game per se because online casinos and online poker sites are often separate, but there are plenty where they are combined. The gameplay is incredibly strategic. There are several styles of poker with rules that are different enough to be interesting. A ton of different stakes and betting levels are available for players with bankrolls of all sizes. It can take a lot of effort to get good enough at poker to beat average players. It’s difficult to play super-short sessions because of the nature of the gameplay. There’s a lot that goes into poker, and if you get skilled enough, you can actually make a very good profession out of it because you’re playing against the other players and not against the house. With that having been said, it’s best as a recreational activity for the vast majority of people out there. Speaking of strategic games, there is blackjack. Along with video poker, it’s probably tied as the most strategic genre of what’s traditionally considered casino-based games (ie: excluding poker as listed above). This is a game that involves some degree of strategy and skill, and you can get a very small house advantage (less than 0.5 percent in a lot of cases) if you learn to play the game well. On top of that, there are a lot of different styles of the game, so you don’t have to worry about getting bored with the same old thing over and over. With all of that having been said, if you don’t want to put in some time and energy into learning how to play with the basic strategies of the game, then you can easily end up with a much higher house advantage and a lower payout rate than what you would have in other games that do not require that much effort and practice. If you like the presentation of blackjack but don’t like the strategy elements involved, then Baccarat is a game that you should definitely check out. There are cards dealt out in a similar manner, but no matter how many players there are at the table, only two hands are actually dealt. This is because you bet on which hand is going to win based on a set of rules for the two playing against each other, and you don’t have to actually make any strategic decisions for how the hands should be played. 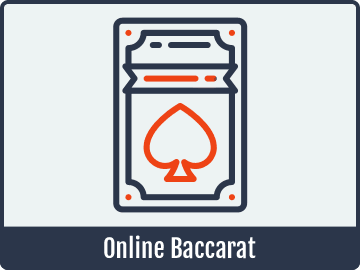 It’s worth noting that online Baccarat is often your only option to play this game for small stakes because land-based games typically have much larger minimum bets. However, you also have the option of live dealer games online where you can play with a live environment and bet sizes that are much more accessible comapred to brick-and-mortar games. Something to consider when trying these games out is that they do not require nearly as much strategy as titles like blackjack or video poker, so there’s a lot less pressure to make perfectly accurate decisions. 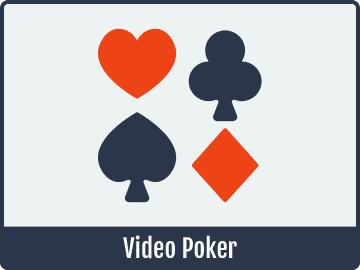 The games that require the most study and practice of strategy to play perfectly are probably certain video poker games. The basic idea is that you get five cards, you discard some number to get new cards, and you get paid based on what final hand you end up with. There are a number of variations to this that can include things like different numbers of wild cards, progressive jackpots and various pay table distributions as well, and this adds a fair amount of variety when it comes to strateigc depth and volatility. While you can get the house edge down to extremely low numbers with correct play (less than 0.5 percent), you aren’t playing against other players; you’re playing against the house. 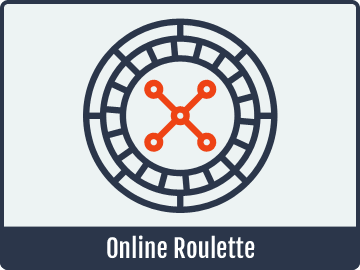 Roulette is one of the oldest table games that you can find in any casino anywhere, online or land-based. It’s a pretty straightforward idea: You bet on different numbers on a wheel, the wheel is spun and you win if you guessed correctly. A number of different types of roulette exist with some variation in the numbers on the wheel, special side-bets, etc., and there are even progressive jackpot roulette games available as well. This is a really simple game, and it’s no surprise that it’s a favorite among tons of players because the play rounds go by quickly and there’s a lot of room to customize how you place your wagers. 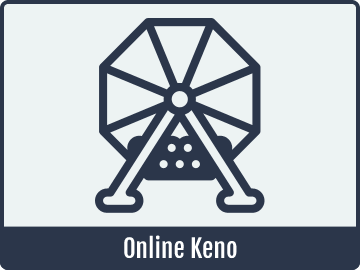 Keno games are based on a simple lottery-type structure. There are different types of keno that use different types of balls, but they all have the same basic idea. You’ll choose numbers out of a range available (usually something like 1-60), and a number of randomly chosen balls are drawn from those numbers. The more of your picks that you get correct, the better the prizes you’re awarded. This game is great for people who don’t have a lot of time because the rounds go very quickly. There’s also very little skill involved, so you don’t have to worry about being at some kind of strategic disadvantage when you play. Online scratch cards are exactly what they sound like. They’re just like scratch-off tickets that you might buy elsewhere as a part of some type of lottery, and they’re often played by people who enjoy keno as well for the same sorts of reasons. You don’t need strategy or any type of planning to enjoy these games. You simply simulate scratching off the ticket, or you can have it automatically do so for you, and you see what you win. It’s simple, fun, straightforward and easy to learn how to play. However, the disadvantage is that the house advantage is a little higher than other games that require more strategy. With the huge range of what’s available online, players should take some time to think about their own temperaments and preferences to help them figure out which of the above games will be the best fit for them. There’s really something for everyone, but you should be true to yourself when figuring it out so that you have the best chances of coming out of it with a great experience.